It was many years ago when I first heard the extraordinary account of a family friend—how, remarkably, he had fought for America and his brother had served for Japan. The story stuck with me. Gradually it evolved into the seed of a very personal novel, given that my mother is a Caucasian American and my father is a Japanese immigrant. But it wasn't until I was knee-deep in research that I made another stunning discovery: the fact that approximately two hundred non-Japanese spouses had chosen to live voluntarily in what are known as U.S. internment camps. I instantly knew it was a part of history I needed to tell. In preparing for the book, my research expeditions became unforgettable highlights. They included a pilgrimage to the Manzanar relocation camp, an exploration of L.A.'s Little Tokyo, and even a flight on a B-17 bomber! 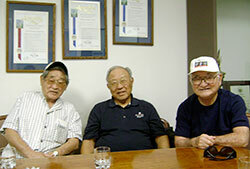 But truly, it was my interviews with several Japanese American WWII veterans that made the greatest impact on me. These men had bravely served in a secret branch of the U.S. Army, risking their lives in a fight for democracy, all while their families were interned back at home. 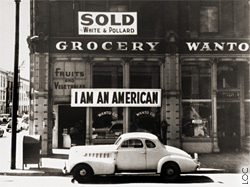 And yet, to this day they insist they were simply "doing their jobs as Americans." "McMorris's second novel...gracefully blossoms through swift prose and rich characters. This gripping story about two "brothers" in arms and a young woman caught in between them hits all the right chords." "[McMorris] creates a believable world...all while perfectly capturing the flavor of the period. A sweeping yet intimate novel that will please both romantics and lovers of American history." "Impeccably researched and beautifully written, Bridge of Scarlet Leaves is a story of loss, triumph, and awakening—and of forgiving those who have injured us the most. I highly recommend this book! "A poignant, authentic story of Japanese and American lovers crossed not only by the stars but by the vagaries of war and their own country's prejudices." "Rich in historical detail, peopled with well-developed characters, and spiced with tension and drama, Bridge of Scarlet Leaves is a novel to savor, and then to share with a friend." "A beautiful, timeless love story, rich in detail and emotion, Kristina McMorris' words reach right off the page and grab at your heart." "An unputdownable love story...[McMorris's] attention to detail is meticulous, the East meets West clash between cultures—revelatory." "This WWII novel has a refreshingly different point of view. 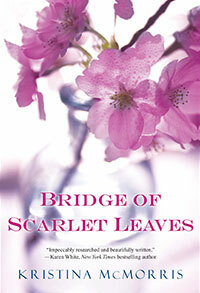 A wonderfully poignant tale, it's at times terribly dramatic and others beautifully gentle."